Η κατάσταση της τέχνης σήμερα. Συμμετέχουν πάνω από 150 καλλιτέχνες, 88 χώρες, με 47 παράλληλες εκδηλώσεις. Την Ελλάδα εκπροσωπεί ο Στέφανος Τσιβόπουλος και τις ΗΠΑ η Σάρα Τσε. 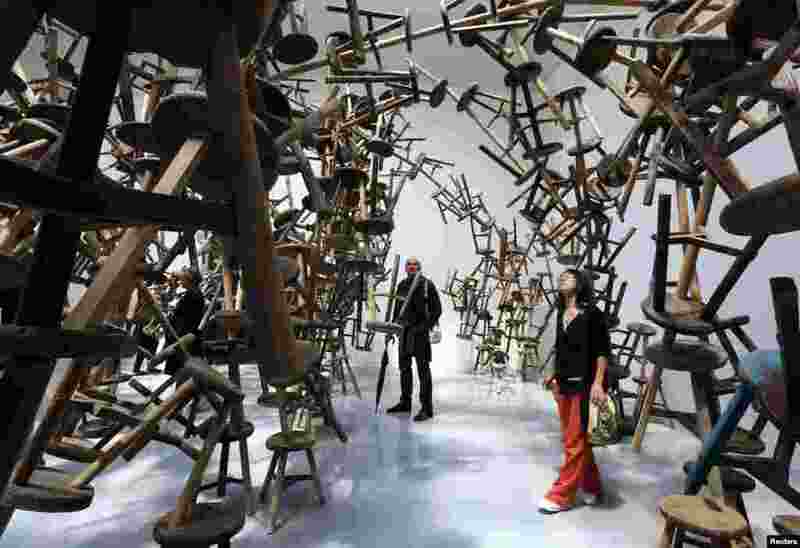 1 Visitors looks at the installation called " Bang " by China's artist Ai Weiwei at the German pavilion during the 55th La Biennale of Venice, May 29, 2013. 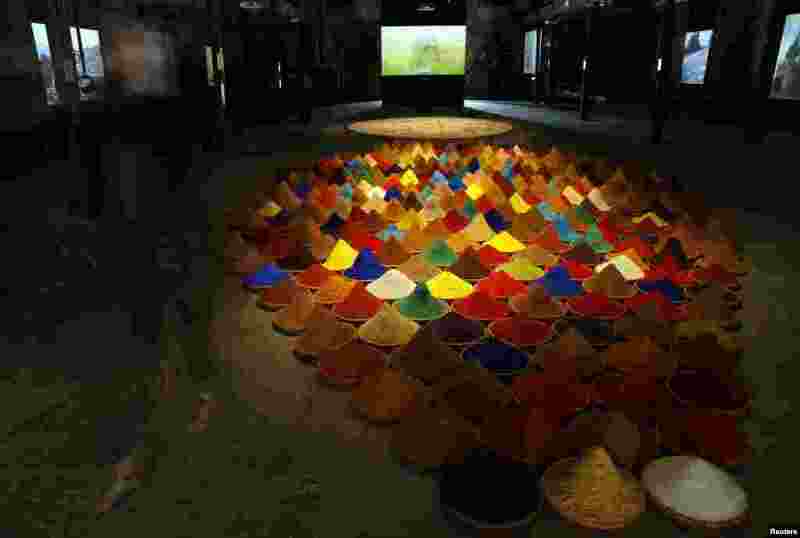 2 A visitor walks past an installation called "Campo de Color" by Bolivian artist Sonia Falcone, May 28, 2013. 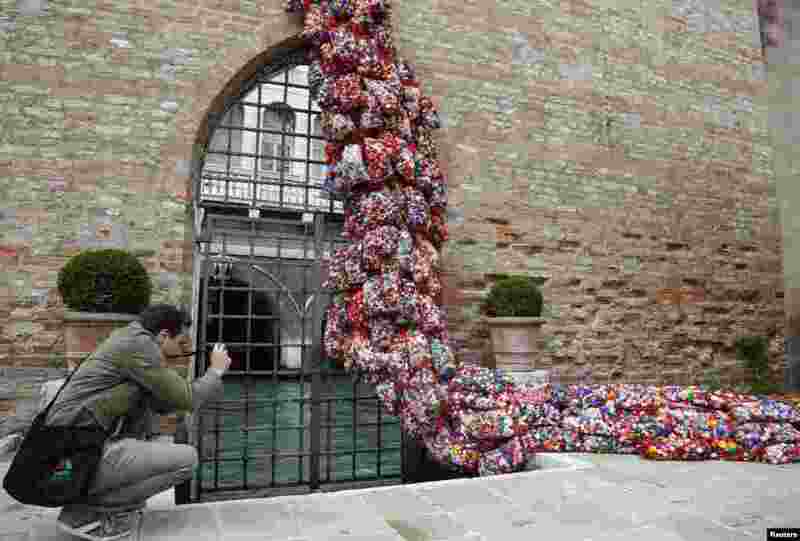 3 A visitor takes a picture of part of an installation called "The Garbage Patch State" by Italian artist Maria Cristina Finucci, May 28, 2013. 4 A view of an installation as part of the "S.A.C.R.E.D" exhibition by Chinese artist Ai Weiwei during the 55th La Biennale of Venice, in the church of Sant'Antonin in Venice, May 28, 2013. 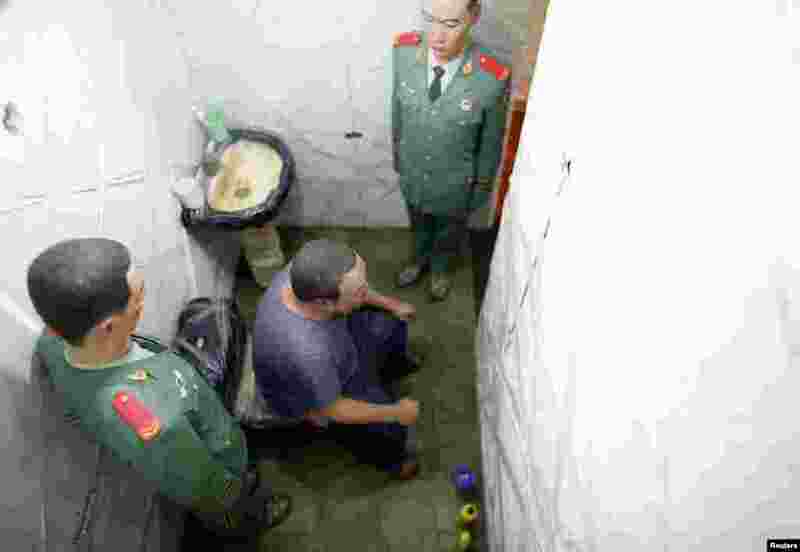 The installations depict the dissident artist's 81-day detention in 2011.